The 1st International Conference on Computer Science and Computational Intelligence (ICCSCI 2015) is an international forum for researchers, engineers and scientists to present their knowledge of technological advances and research in the fields of Computer Science, and Computational Intelligence. The conference warmly welcomes prospected authors to submit their research and idea, and to share the valuable experiences with the scientists and scholars around the world. Two related tracks will be held, covering both applications and current research work. In the area of Computer Science, Bio-Informatics, Computer Games, Computer Vision, Information Engineering, Robotics and Automation, Internet of Things and many other things closely related to Computer Science are concerned. In the area of Computational Intelligence, Fuzzy System, Machine Learning, Natural Language Processing, Neural Networks, Pattern Recognition and many other things closely related to Computational Intelligence are concerned. All accepted papers will be published in the conference proceedings, under an ISSN reference, on paper and on Flash disk. 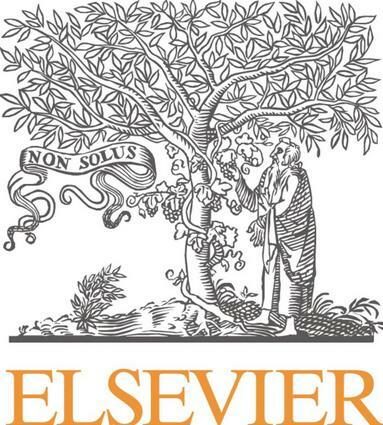 Proceeding of this conference will be published at Procedia Computer Science – Elsevier, indexed by Scopus. Launched in 2009, Procedia Computer Science is an electronic product focusing entirely on publishing high quality conference proceedings. The development of computer science, computational intelligence, information and technology knowledge needs a media for researchers, engineers and scientists to share and expand the networking. Bina Nusantara University as one of the leading university in computer science, computational intelligence, information and technology must have a forum for the researchers, engineers and scientists to share knowledge. As a motivation for young researchers, engineers and scientists to publish their ideas and researches in an international forum. Prof. Chiharu Ishii received Bachelor of Engineering degree in Mechanical Engineering from Sophia University in 1992, Master of Engineering degree in Mechanical Engineering from Sophia University in 1994 and Doctor of Engineering degree in Mechanical Engineering from Sophia University in 1997. He worked at Ashikaga Institute of Technology between 1997 and 2002, at Kogakuin University between 2002 and 2009, and at Shibaura Institute of Technology between 2009 and 2010. 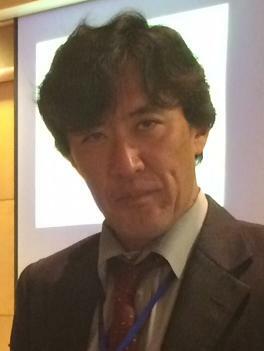 Since 2010, He has been working at Hosei University, and currently he is a Professor with the Department of Mechanical Engineering, Faculty of Science and Engineering at Hosei University. Prof. Chiharu Ishii has received several awards such as The Best Paper Award in the area of Tactile and Haptic Interfaces at the 4th International Conference on Human System Interaction (HSI2011); Best Paper Award at the 1st International Conference on Computer Science, Electronics and Instrumentation (ICCSE2012); Best Presentation Award at the International Conference on Intelligent Mechatronics and Automation (ICIMA2013). He is currently a member of IEEE, SICE, JSME, RSJ, IEEJ and JSCAS. His research interests are in medical robotics, assistive technology and robust control. Abstract: Minimally invasive surgery (MIS) has great advantages for patients, since trauma to the body, pain and duration of hospitalization can be reduced significantly. Recently, the robotic assisted surgical system, da Vinci, has increasingly been applied in clinical practice worldwide. The demand for robotic surgical system is increasing since robotic surgery has contributed to dramatic progress in medical treatment in terms of enhancing dexterity in MIS. Similar to the robotic forceps of da Vinci, we have developed an omnidirectional bending robotic forceps for MIS, termed double-screw-drive (DSD) forceps, so far.Most recently, single-port surgery (SPS) has been performed clinically in the field of laparoscopic surgery. Unlike the conventional laparoscopic surgery, surgical instruments are inserted through only one incision hole on the umbilicus in SPS.We are now developing a robotic surgical system for SPS, which consists of two robotic arms with forceps manipulator and one robotic laparoscope. In this talk, the robotic surgical devices which were developed in my laboratory are introduced.On the other hand, in recent years, the demand for nursing care of elderly people is increasing with the progress of the aging society in Japan. One of the solutions to respond this problem is an application of the Robot Technology (RT). In this talk, some assistive devices with application of RT for use in the aging society are also introduced. The lightweight power assist suit to reduce the burden of a care giver in transfer work and control system for the electric wheelchair based on user’s biosignal which were developed in my laboratory, are mentioned. 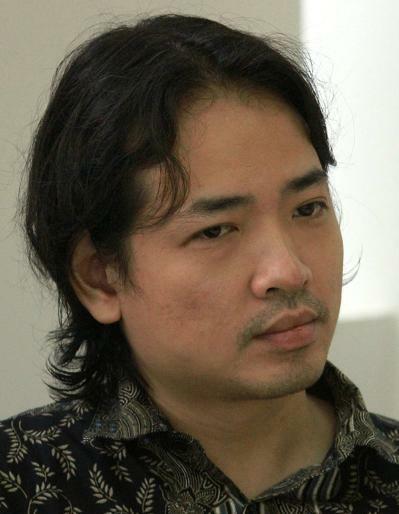 Ruli Manurung is a full-time faculty member at the Faculty of Computer Science, Universitas Indonesia, where he currently serves as the Coordinator for the various computer science study programs. His research interests vary between natural language processing, computational creativity, artificial intelligence, evolutionary computation, and machine learning. He has co-authored more than 80 peer-reviewed journal papers, book chapters, and conference papers, winning Best Paper awards at several international conferences. He has also held 11 research grants, both international and national in scope. He obtained his Ph.D from the University of Edinburgh in 2004 for his work on the automatic generation of poetry. From 2003 to 2006 he was a Research Fellow at the University of Edinburgh on an EPSRC research project that concerned the development of an innovative system that provided language-impaired children with the ability to tell novel jokes. Abstract: In this talk, I will present several years of experience working on poetry generation, an exciting and challenging instance of computational linguistic creativity. Poetry generation is an extremely difficult problem that requires intelligence, world and linguistic knowledge, and creativity. Many different AI methods have been applied to this problem, ranging from evolutionary algorithms, constraint logic programming, case-based reasoning, and natural language generation. I will first introduce a model of poetry generation as a state space search problem, where a goal state is a text that satisfies the three properties of meaningfulness, grammaticality, and poeticness. Such a model requires a rich representation of various linguistic aspects, such as phonetics, morphology, syntax, and semantics, and an architecture that allows a system to simultaneously reason with all of these aspects and how they interact with each other. Several research works will be presented that have focused on different aspects, namely metre, rhyme, semantics, and topicality. Sample output will be presented, as well as the results of some Turing Test-style evaluations. 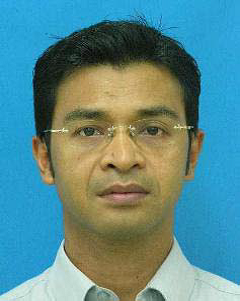 Prof. Habibollah Haron is one of Professor in Faculty of Computing, University of Teknologi Malaysia. He received Bachelor of Computer Science from University of Teknologi Malaysia in 1989, Master of Science in Computer Technology in Manufacture, from University of Sussex & University of Brighton United Kingdom in 1995 and Doctor of Philosophy in Computer Science especially in Computer Aided Geometric Design (CAGD) area from University of Teknologi Malaysia in 2004. He has research experience in image processing, artificial intelligence, computer vision and Computer Aided Geometric Design. Currently, he is a senior member of IEEE, Information Visualization Society, United Kingdom and Persatuan Sains Matematik Malaysia (Malaysian Society of Sciences and Mathematics) (PERSAMA). He has received some awards such as Most Active Reviewers of International Arab Journal of Information Technology (IAJIT) During the Year 2007, 2008, 2009, 2010, 2011 and 2012, ODA Shared Scholarship Scheme for one year of M.Sc. course at the University of Sussex, UK by Association of Commonwealth Universities, in October 1994 and IDB Training Scheme Award under Development and Industrial Technology Program (Asian) Development Bank (PPTP/ADB) in May – July 1994 (3 months) at Dept. of Electronic Engineering, University of Hull, UK. He is also the organizing chair of the 5th Asian Conference on Intelligent Information and Database Systems Conference (ACIIDS 2013) and the 13th International Conference Intelligent Software Methodologies, Tools and Techniques (SOMET 2014). From 2004 until 2014 he served as Head of Computer Science Department and currently as Deputy Dean (Academic) in Faculty of Computing, University of Teknologi Malaysia. Abstract: Recently, Computational Intelligence (CI) methods have become the trend and popular tool to be selected by the researchers in solving different kind of complex real world problems. This is due to the CI methods contain the characteristics of heuristic and decision making, which lead them become an alternative method to be used instead of the traditional methods. Basically, the concept for CI methods is inspired based on the biological concepts, such as neuron for Neural Network (machine learning), genetic for Genetic Algorithm (evolutionary computation), and flock of birds for Particle Swarm Optimisation (swarm intelligence). Based on the results as reported in most of the previous works, the main advantage of using CI methods compared to the traditional methods is they are able to reduce the cost and processing time for the problems. In addition, better accuracy results can also be obtained through the optimisation process, which is another excellent contribution from CI methods. Actually, all the advantages as discussed are the issues for all the real world problems, especially for the medical field. The applications which are developed using CI methods are able to minimise the processing time in diagnosing the diseases of a patient with good accuracy and to assist the doctors in making the decision to perform the treatment towards the patient. Indirectly, the cost will be reduced because suitable medicine and treatment have been given towards the patient. If the processing time is longer, the disease might be even worse and lead to higher medical cost. Hence, it shows that the contribution of CI methods towards the medical field is very important for every person. So, general issues on the research and development of CI methods in handling different kind of medical application problems will be discussed.